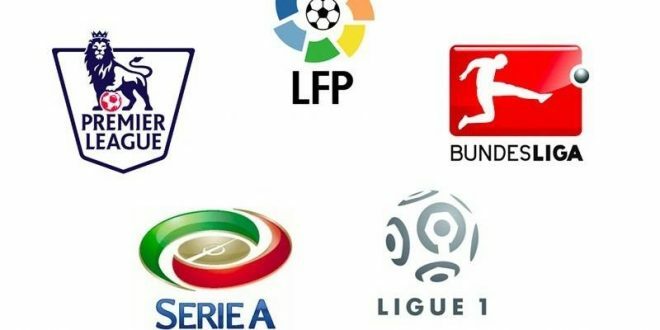 Home » News » Last league hurrah in Serie A? Last league hurrah in Serie A? Much was anticipated of the 2017/18 Premier League season, with a thrilling title race expected this term. In Spain, the La Liga top spot was predicted to be an exciting close encounter as Barcelona attempted to wrestle back the championship from bitter rivals Real Madrid. While others played catch up in the German and French league, big things were predicted across the top leagues in Europe, however, as we reach the half way point of the season, on an excitement and tight run race front, you may be starting to feel a little aggrieved as you could say it’s all over and the thrill has been taken out of the title run-ins across Europe. That is, except for Serie A. Everyone expected the usual Real Madrid and Barcelona tussle to the top this term, a tight title chase was predicted with both teams taking it to the wire leaving fans glued to the Spanish league. However, with Real Madrid sitting in fourth place and Barcelona a massive 14 points ahead of their rivals, it seems the top two in Spain have already run their title race with Barcelona winning the league five months early and with little to thrill over. Messi and co are also nine points ahead of second placed Atletico Madrid, and having not lost a game so far this season, you wouldn’t think they would go onto lose three to allow their place at the top to slip. It’s game over in Spain. The Bundesliga has not been exciting in recent years in terms of a title race. Bayern Munich are sitting pretty at the top of the German league again this season, which is as predictable as it is exhilarating, their football is certainly worth a watch but in terms of hoping for a tight thrilling title race, Germany is not the place to look. Already 11 points clear at the top, Bayern may as well be handed their 28th league title now -a phenomenal achievement of course and an outstanding club, but for the neutral, you’ll be yawning from now until May. The French league isn’t fairing much better. Paris Saint-Germain are, as expected, running away with top spot, currently nine points clear, with the rest playing catch up in terms of stature, money, and points. It’s exciting times for Paris Saint-Germain and their fans, but as for the league, you would think it’s all over. So, have these four great leagues become an apparent non-event in terms of who will win the title? Perhaps the Spanish league can be forgiven, it is normally contested between Real Madrid and Barcelona anyway so a run-away team out of the two just makes La Liga even more predictable than usual. The same in Germany – no great surprises Bayern Munich are nearly out of sight, it has been the same outcome for many years previous, but what about the French and English top leagues? Billion pound take overs? A never-ending pot of cash to lure any players in the land to the club or just simply a spirit, team and manager that are too good for the rest? The only league that has not been mentioned is Serie A. Ironically, after years of free-fall from being considered the best league in the world, and interest declining, the Italian league has suddenly become the competition to watch – and not just in terms of an exciting title race. The top three couldn’t be tighter, there is one point between Napoli, sitting on 45 in first spot, and Juventus in second, while Inter Milan are only four points behind. Roma in fourth on 38 points still cannot be ruled out making this title chase a thriller. Will Juventus lose their crown or take an incredible 34th title? Will Napoli take their first Serie A win in 27 years or will Inter Milan bring the glory decade of 2000 back and finish top after underachieving for seven seasons? Sounds a little more exciting than the other top European leagues doesn’t it? As well as the thrill at the top, there are the likes of Lazio and Atalanta enjoying exceptional seasons and upsetting the odds in matches against the top sides. At the bottom of the league, Benevento who are rooted at the foot of the table, grabbed their first and only point to date in Serie A, five months into the season in dramatic fashion – an injury time equaliser scored by their goalkeeper against AC Milan! It’s all happening in Italy, some may say the football is not the best to watch but no one can deny the current top three have played some scintillating attacking football. Hamsik for Napoli, Dybala up front for Juventus and Perisic on the wing for Inter Milan – three players who have been sensational to watch and could play in any other European top team’s first eleven. The money certainly isn’t in Serie A (after the Italian league’s scandals and downfalls) like it is for some sides sitting pretty at the top in the other European leagues, but shrewd buys, great management and determination have made this league the one to watch. Compared to the other best leagues in Europe, it is looking increasingly like the last hurrah is in Serie A if you are looking for the thrill of a tight exciting title race that is going to go right to the wire.